The town of Linville, located near the Blue Ridge Parkway, has long been a resort community. Visitors can see the careful planning that went into its development by taking a stroll through the Linville Historic District. In 1883, the new mountain town was carefully planned and laid out foursquare, with streets and parks thoughtfully incorporated into the design. It was named for William and John Linville. In the late 1920s, Howard Marmon came to Avery County and purchased land in the Pineola area. Included in the land he purchased, was the area west of US 221 that is now where part of Land Harbor is located. Mr. Marmon was responsible for building the dam which formed the lake at the main entrance. 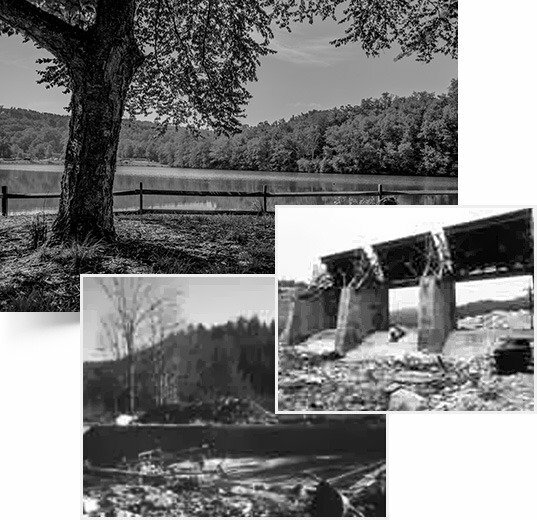 In 1940, a major flood destroyed the dam that he built, and in 1943, he sold all his property to the State of North Carolina. On May 2, 1969, Ernie Hayes and Douglas Miller met with an engineer from Carolina Caribbean Corporation and a surveying engineer who was in charge of surveying property lines, road, water, and sewer lines. These four men planned Land Harbor’s main entrance to the property from US 221. Before this entrance was built, the only way into the property was from Goose Hollow Road. 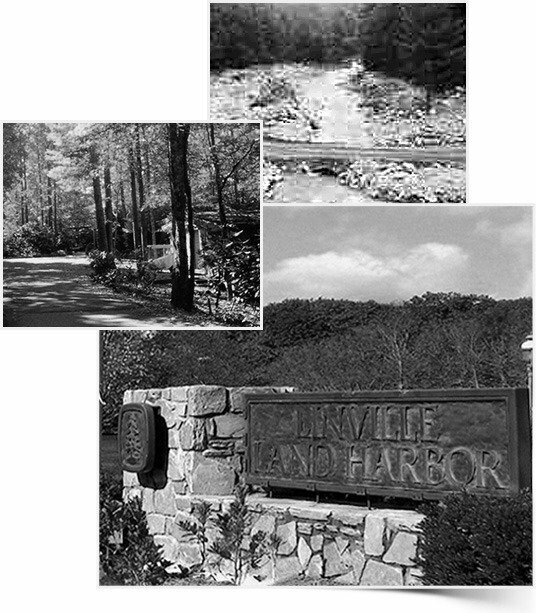 The original main entrance consisted of a guardhouse and a large sign that said “Linville Land Harbor.” In 1998, the sign and guardhouse were torn down and, the present entrance was developed. Many say we have the most beautiful entrance in the area. Click here to read the History of Land Harbor written by Will Saunders. Copyright © 2019 Linville Land Harbor POA.